A healthy, bright smile is the key to a confident, happier you. At Thurloe Street Dental and Implant Centre, our team of cosmetic dentists can help enhance the appearance and health of your teeth and gums. 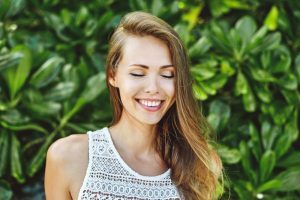 We offer the latest in cosmetic dentistry techniques to transform dull and discoloured teeth, to correct chips or breakages, and to straighten crooked or misaligned teeth. At a Smile Makeover appointment, we will discuss any concerns you may have regarding the appearance of your teeth and explore the different treatment options with you. We have the dental technology and knowhow to design a smile that is unique to you. It is never too late to change your smile and improve your confidence. There is no obligation to commit to treatment following a Smile Makeover appointment, however, we’re quite sure that you’ll want to start the journey towards a happier and healthier you. Please click here or call 020 7584 5551 to book your Smile Makeover.